How To Get Back Into An Inflatable Kayak From The Water? Kayaking is always exciting, but if you do not know how to get back into an inflatable kayak from the water in case of any danger, then kayaking will just be a nightmare. There are millions of people who are well acquainted with swimming and know about inflatable kayaks very well, but the only thing they do not know is the way to get back to the kayak in case of accidental fall over. To be very specific, this is really easy people! Once you’ve learned the ways to get back to your kayak in an emergency, you’ll need a couple of intentional practices, and after those, you are ready to face any rough watercourse completely. Predominantly, inflatable kayaks are designed very carefully. Manufacturers provide extra care to the sides of the kayaker and make it a bit broader compared to the deck. 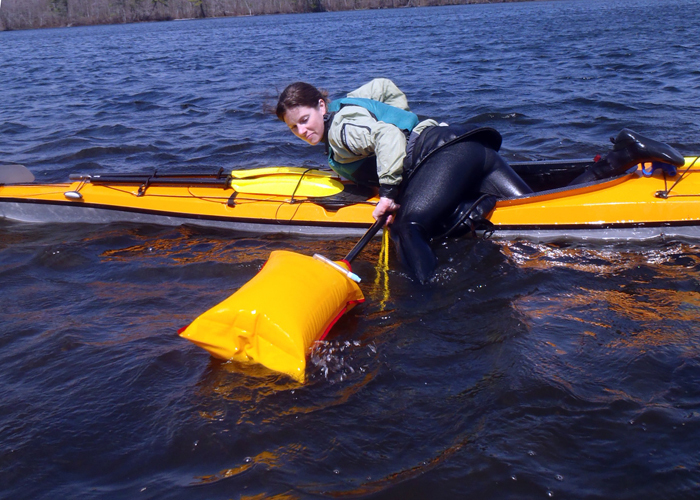 The hull works as a weight stabilizer and therefore, along with the two sides of an inflatable kayak; it isn’t that easy to put the kayak upside down and make you fall over water. You can even practice this intentionally, but it’s pretty sure that you’ll find it hard. Once you’ve checked the hardness and stiffness of your inflatable kayak, then its time to do something different. 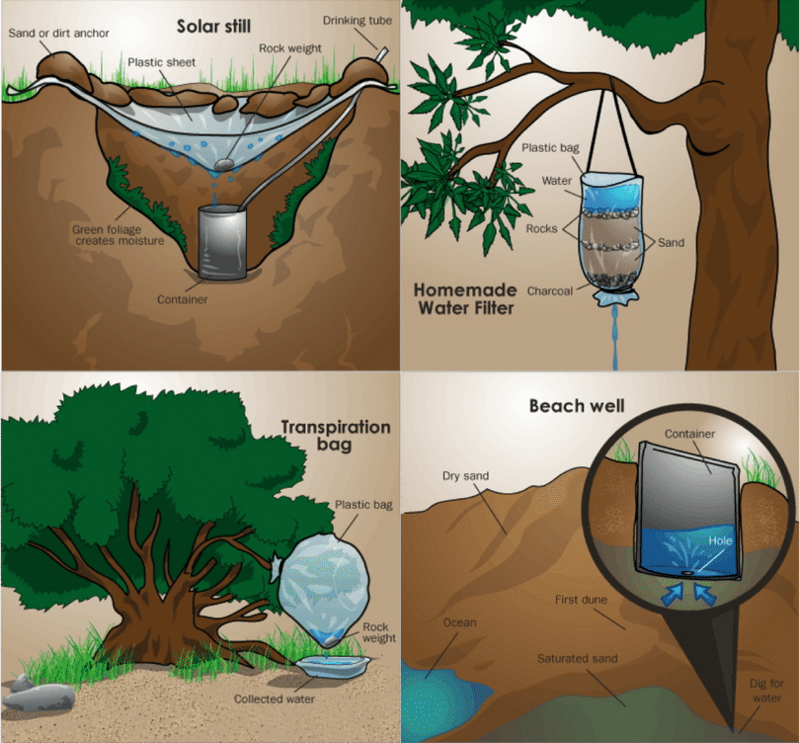 If you have a pond in the vicinity of your home, then it’s best. Otherwise, you can use any watercourse near your reach. Now wear a water safety jacket. If you are a good swimmer then you can put this off, but it is recommended to wear a water safety jacket because you never know, what’s going to happen next. After you’ve worn the jacket, get the kayak paddle in your hands and sit tight on the hull sitting position as if you are going to kayak on a watercourse. Now tell your friend/brother/sister to turn the kayak over so that you fall on water and the kayak gets upside down on the water surface. Now you are in the water with the safety jacket. So you shouldn’t get drowned. The kayak is turned upside down, and it also isn’t drowned as it is inflated. In case of any hard scratches on the kayak body or hull, the kayak gets deflated, and it gets drowned. But let’s consider the kayak is floating on the water. But what about the paddle with you while kayaking? In most of the cases, kayakers keep the paddle attached to the kayak or his own body through rope or nylon cords so that while the kayaker gets the paddle after getting back on the kayak. Most often, finding the paddle isn’t hard, and you’ll fall over water near your kayak. But you might even fall far away than your kayak position; in such cases, you’ll need to have good vision and swimming instinctive to reach to your kayak. However, in this case, you are near your kayak. Keep calm in the water and get to a stable position where you can see your kayak. Now swim towards to your inflatable kayak very keenly. If the watercourse has a strong current force in any specific direction, then you better swim accordingly. When you’ve reached your kayak, then you’ll find the kayak very hard to turn from sideways. But if you reach the rear point of the kayak, then you’ll easily turn the kayak through forcing with both of your hands. Turn the kayak very swiftly. When you’ve turned the kayak perfectly, and then reach to one of the sides of the kayak. Put your hands over the kayak-inflated sides. Make sure you reach the maximum arm grabbing point. Now you’ll need to force your legs to push and pull your hands so that you get over to the kayak side to your belly. Now bent your head down to the kayak hull so that the kayak doesn’t get imbalanced. Swing your legs and make your body turn sideways pulling your legs up. And finally, you can sit over the kayak very easily. This is how to get back into an inflatable kayak from the water in case of any danger. Kayaking will give you life experience once you’ve tasted it. But to get this thrilling world experience, you’ll need to learn a lot of things, which are very basics and won’t be hassling to you. Learn all the basics very perfectly, and you can get something you’ve never thought before. Swimming is something that will help you till the end of your life and knowing how to get back into an inflatable kayak from the water in case of any danger will help you to get back to nearby safety which is very important! Do you know how to repair an Inflatable Kayak? Cabana Islander-Enjoy Lazy Party On The Water!